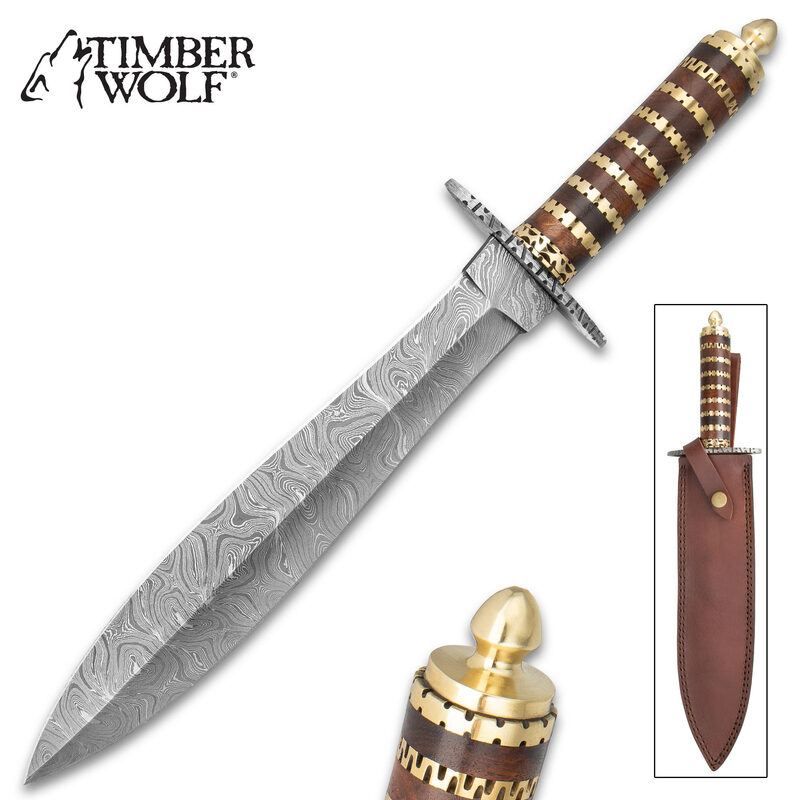 Timber Wolf Mongol Dagger With Sheath - Damascus Steel Blade, Wooden And Fileworked Brass Handle - Length 16” | BUDK.com - Knives & Swords At The Lowest Prices! The Timber Wolf Mongol Dagger brings all the power of the fierce soldiers of Genghis Khan’s Mongolian Army to your hand. 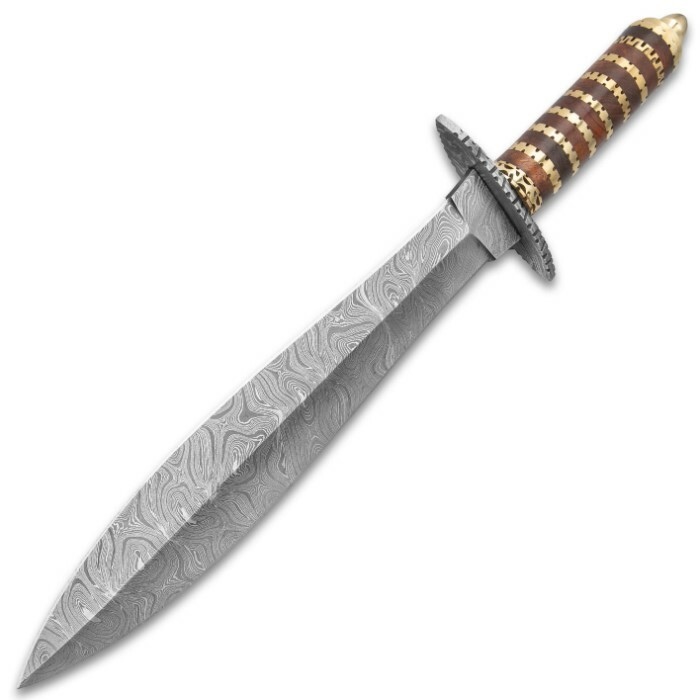 A dagger that was built to conquer the world, it has a 10 3/4” Damascus steel double-edged, dagger blade, which is complemented by a fileworked Damascus handguard. 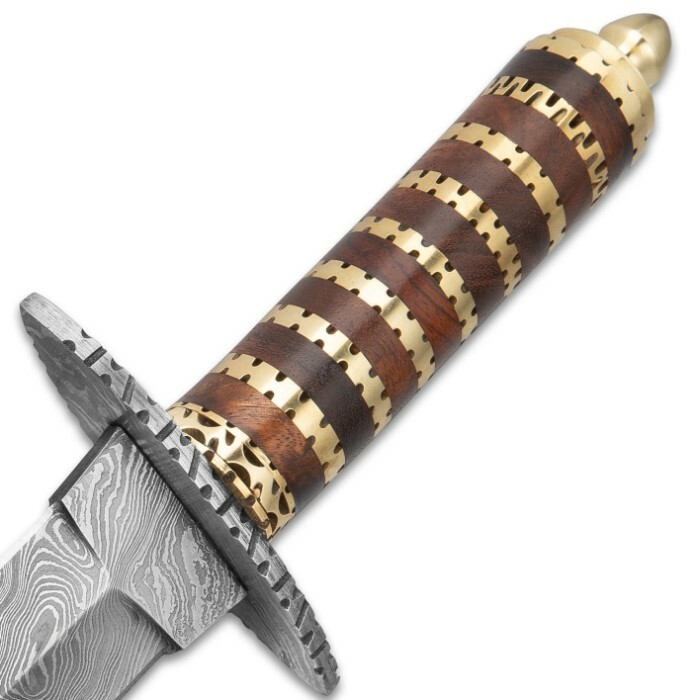 The handle has been elegantly crafted of bands of wood alternating with fileworked brass bands and it has a brass knob pommel. 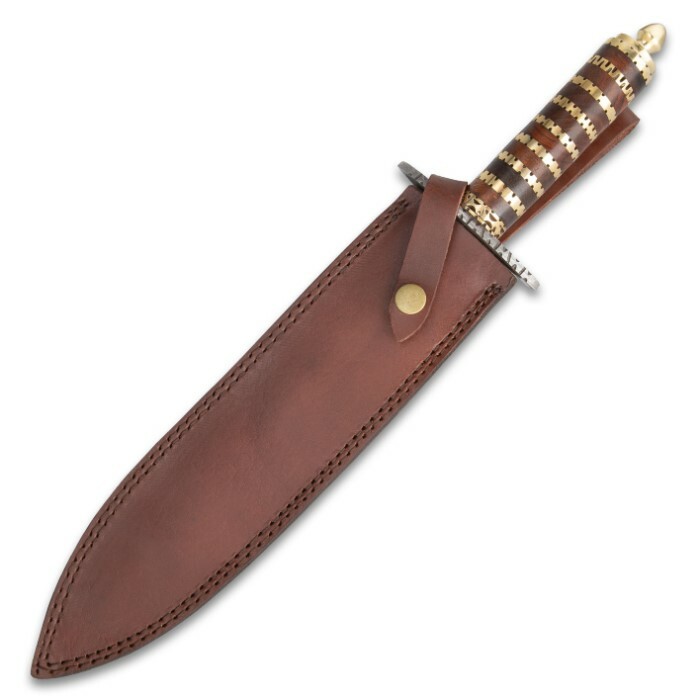 The 16” overall fixed blade fits like a glove in the included premium genuine leather belt sheath that has a snap closure.